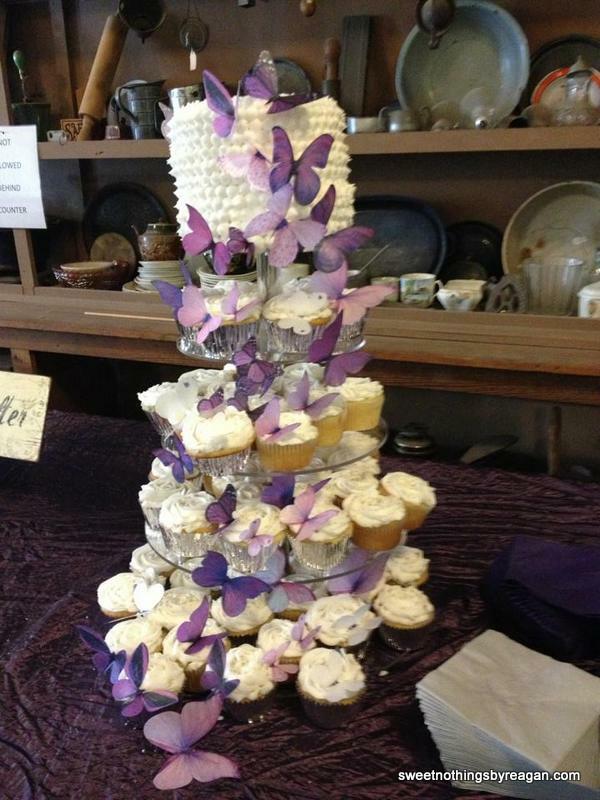 These cupcake towers were for a bride and groom. Each tower featured a small cake perched on the very top. 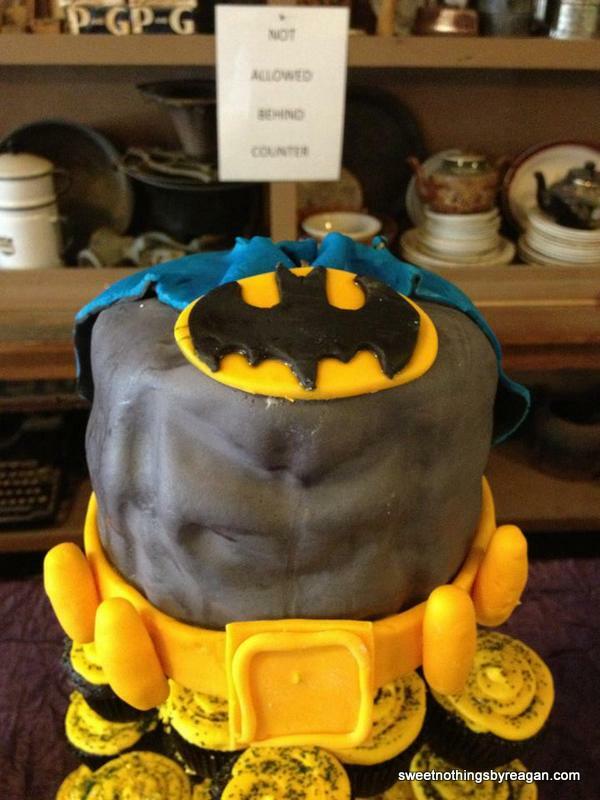 Batman’s torso was sculpted cake covered in fondant and embossed to make his muscles “pop”. 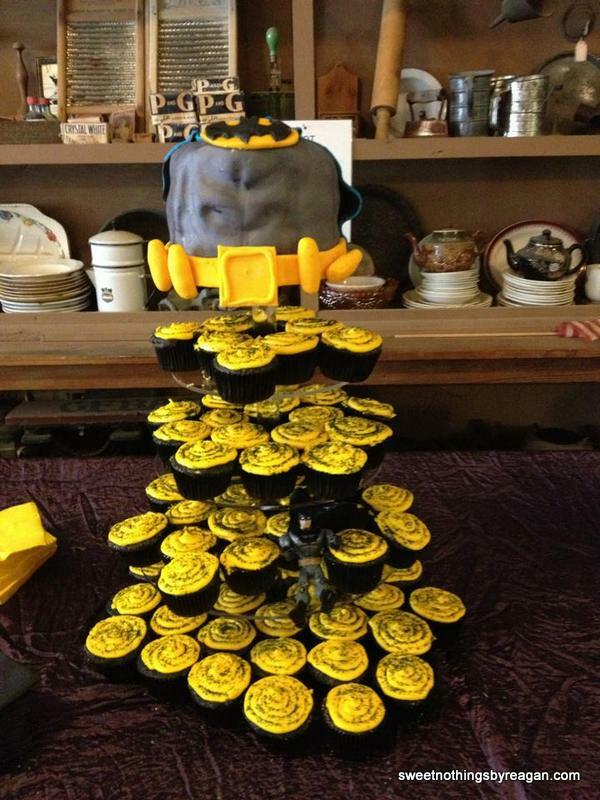 The belt, medallion, and cape were all hand-sculpted from fondant. Chocolate cupcakes iced with yellow buttercream and black sprinkles complete this tower. The bride was a little more, well, girly. This cupcake tower had special meaning. 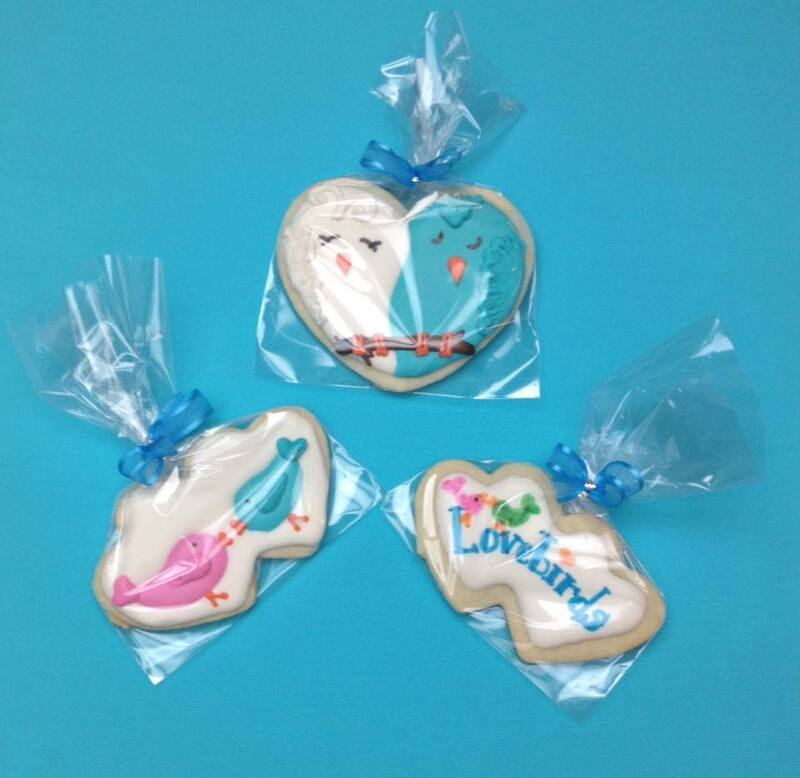 The purple butterflies celebrated the life of the bride’s young daughter, who oversaw the ceremony from Heaven. White cupcakes frosted in white buttercream with matching sprinkles completed the tower. 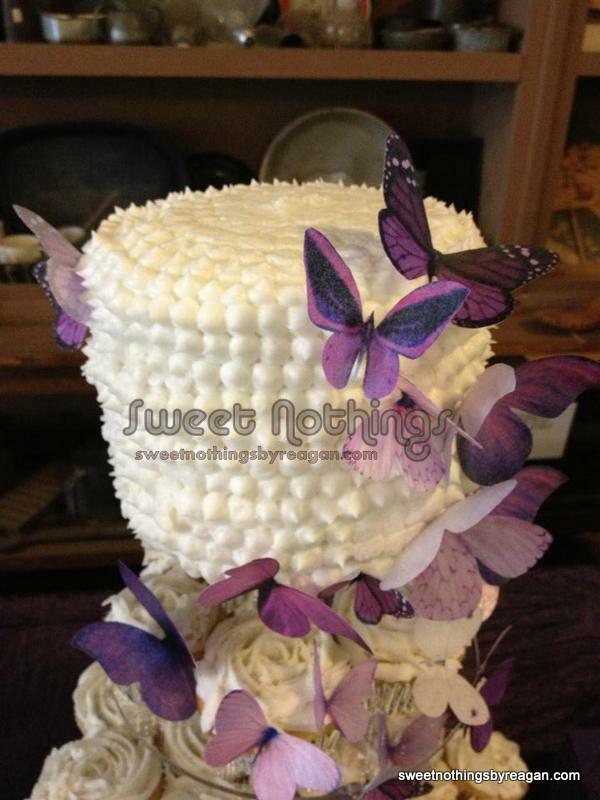 Each butterfly was hand applied to the cupcakes and the top cake to create an ombre’ cascade. Posted in featuredTagged batman, buttercream, butterflies, cupcake tower, fondant, groom, grooms cake, wedding, wedding cakes, wedding cupcakesBookmark the permalink.